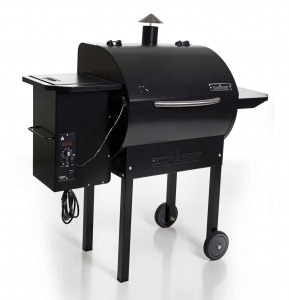 Made in the U.S.A. this pellet grill is sturdy, accurate, and easy to use with an awesome digital controller. 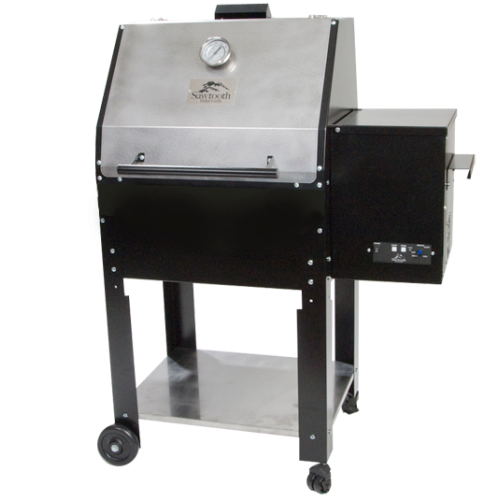 Sawtooth Grills is a small pellet grill manufacturer based in Idaho in the good ole U.S.A. They take pride in their products and make some awesome pellet grills. 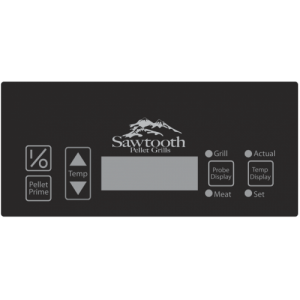 Unlike other cheaper model pellet grills, Sawtooth has an awesome digital controller that lets you set your cooking temperature at 5 degree increments anywhere between 175 degrees and 500 degrees making easy to either smoke or sear your favorite grilled meat. The SPG-410 is Sawtooth’s smallest pellet grill model but the cooking surface is not small at all. The model offers 456 square inches of cooking surface, on one level, with capacity for more with optional smoke shelves. 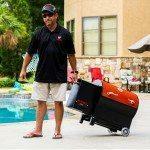 The model is lightweight for a pellet grill, only weighing 135 pounds. It comes with some sturdy wheels and casters which makes it easy to move around your backyard to your favorite cooking spot. The grill is made out of 16 gauge steel and has a sturdy powder coat finish for a long lasting investment. One of the greatest features about the Sawtooth SPG-410 Pellet Grill is their PID digital controlled thermostat. In short, PID controllers are used in industrial settings and eliminate the fluctuation of temperature like you see in your standard oven. Allowing you to set your temperature in 5 degree increments, the Sawtooth SPG-405 automatically adjusts for outdoor temperatures making it true Set It and Forget It technology for easy, consistent cooking of your meats.